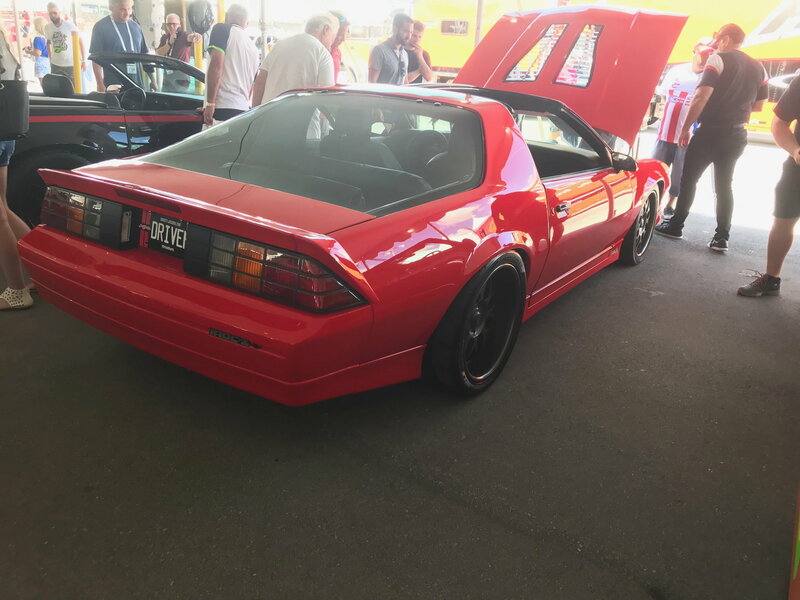 The Barrett Jackson Auction is coming up here in Palm Beach. I was looking through the docket and did not have to go far and found this and thought we could play a little game. 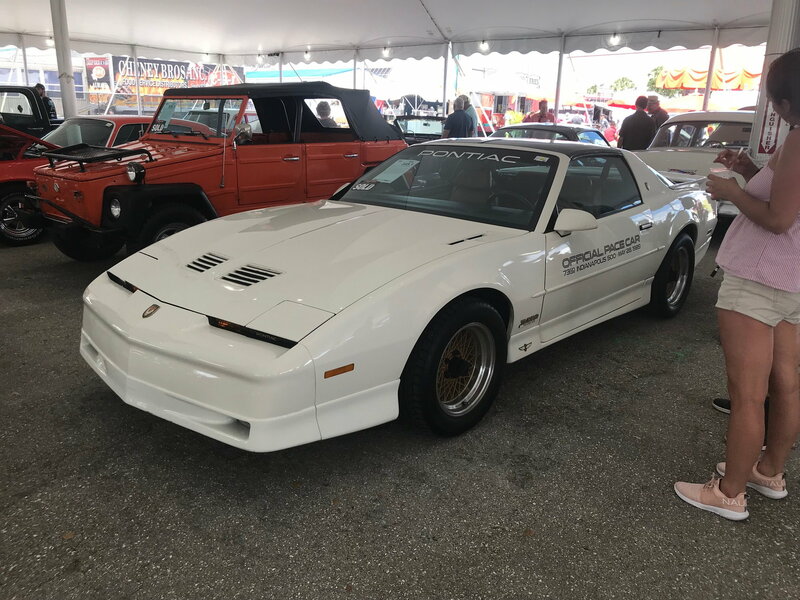 Lot #13 1983 CHEVROLET CAMARO Z/28 This Z/28 has 75,600 original miles (the title reads mileage exempt). So as the title says and the show goes what do you think it will hammer down for? Closest to wins! 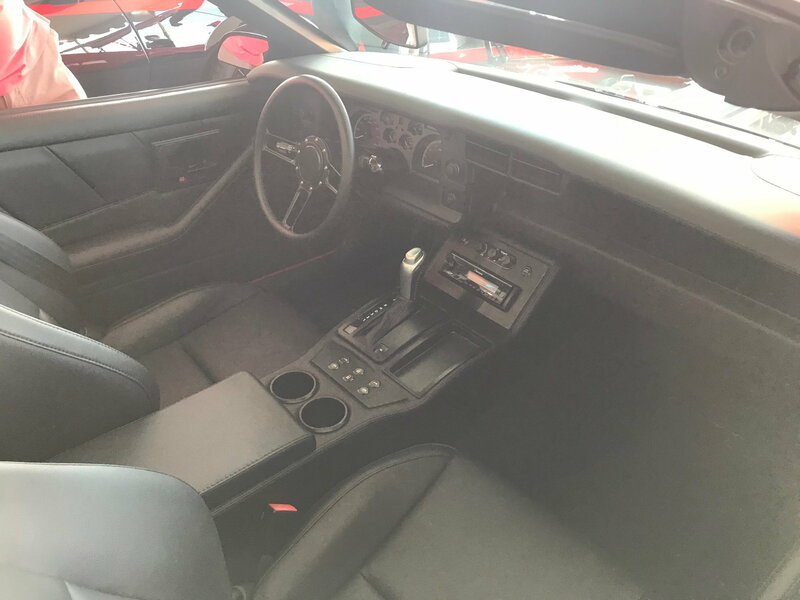 You have to include collectible and condition with hammer price..At the bottom of the pics I will include the link to the car if you want to inspect it and get the seller's description. For me, 7.5k tops if it was really clean underneath which there are no pictures of. 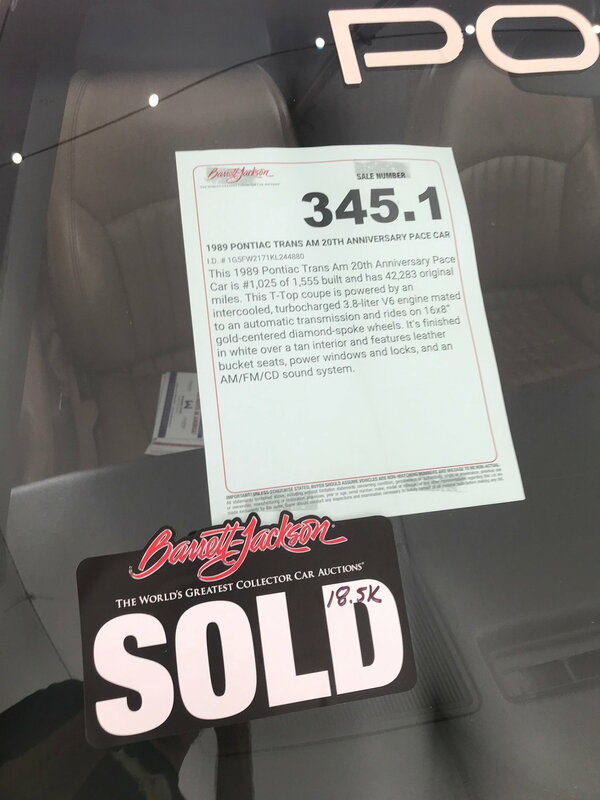 $8300 I think there will be a few buyers in the room looking for deals, (this car goes early on Thurs) that the price might get driven up a bit from some of these guys looking to get in on a 3rd gen Camaro. Some drunk will pay 7k. 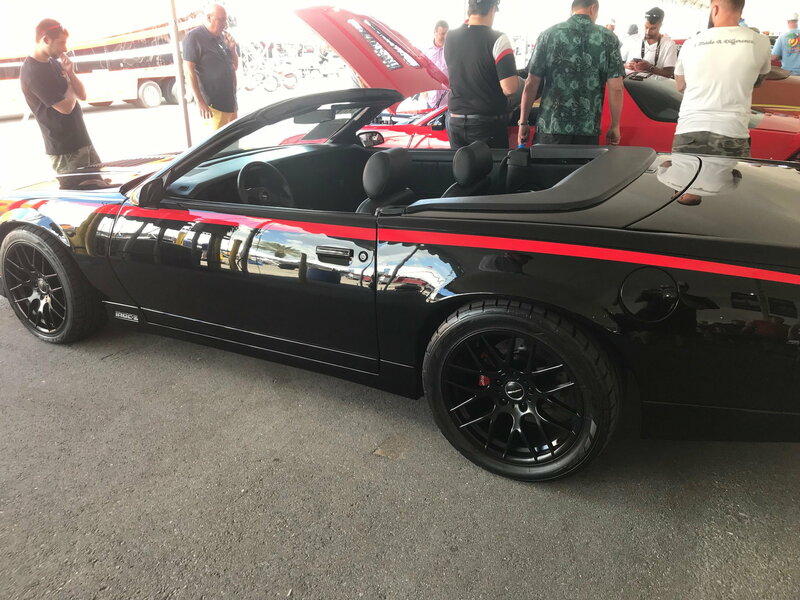 How about this one from the same Barrett Jackson auction page? Low miles and TPI. 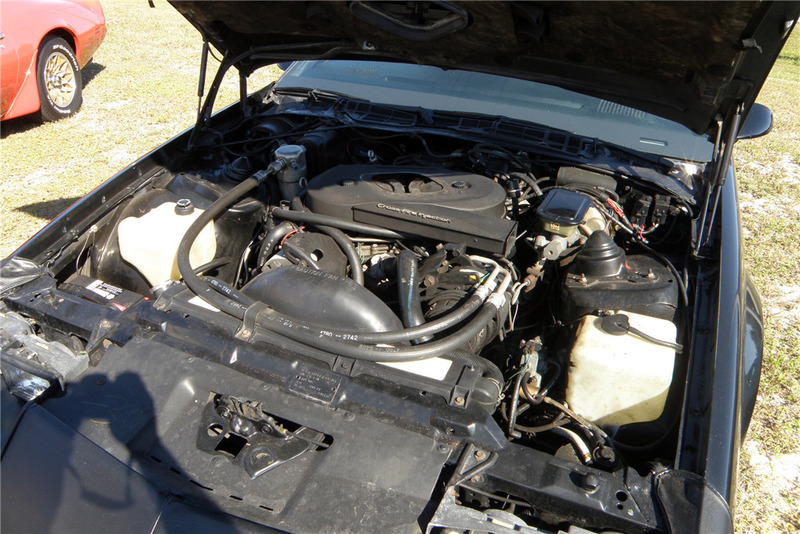 Lot #337.1 - This unrestored IROC-Z is a one-owner Texas car in Bright Blue Metallic with its original interior, power bucket seats, T-Top roof panels with bags, power windows, trunk release and rear cargo cover. It is powered by a 5.0-liter TPI engine backed by an automatic overdrive transmission. 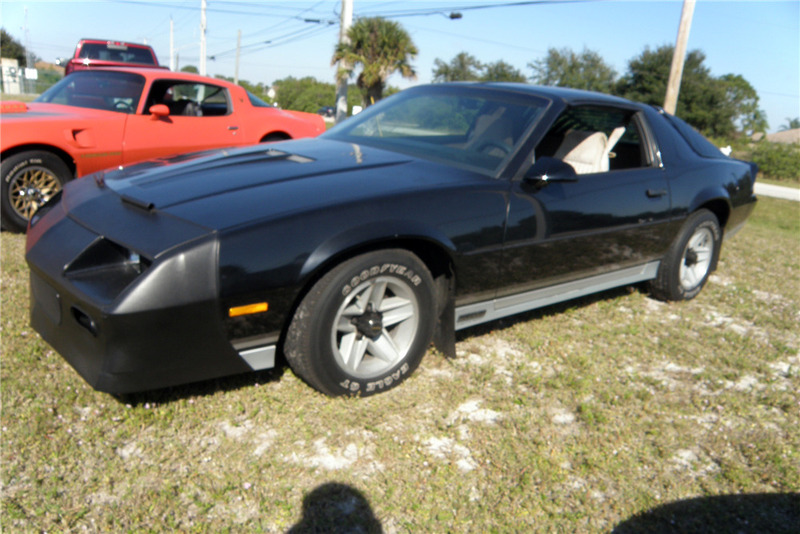 This original IROC-Z still sits on its original Gatorback tires and has 6,460 original miles. 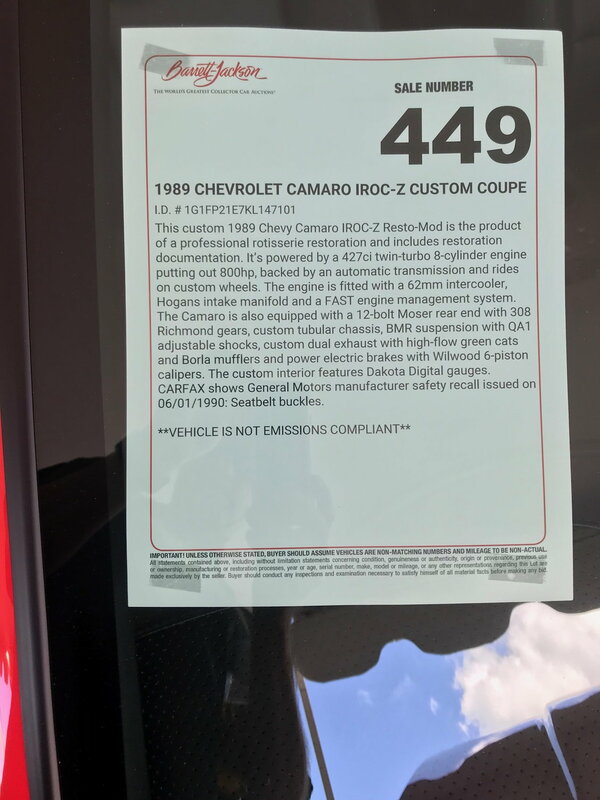 This one-owner car comes with its original owner’s manuals and delivery inspection, IROC brochure and Camaro brochure. Several problems with ^^^^ this car. One is the Crossfire injection; ain't nobody got time for that! Another is the "bra" on the nose; those things proved to be very effective at sanding off the paint under them since they trapped moisture and road grit, and vibrated it against the paint from the wind beating against them as the car went down the road. Likely to be the worst car 'accessory' ever. If the undercarriage is in the same relative condition as that engine bay, IMO, nobody is going to want to buy that car unless the owner wants to give it away for a song. I'm actually kind of surprised BJ would accept a car for auction in such condition. Wow. That's a really nice, highly-detailed car. 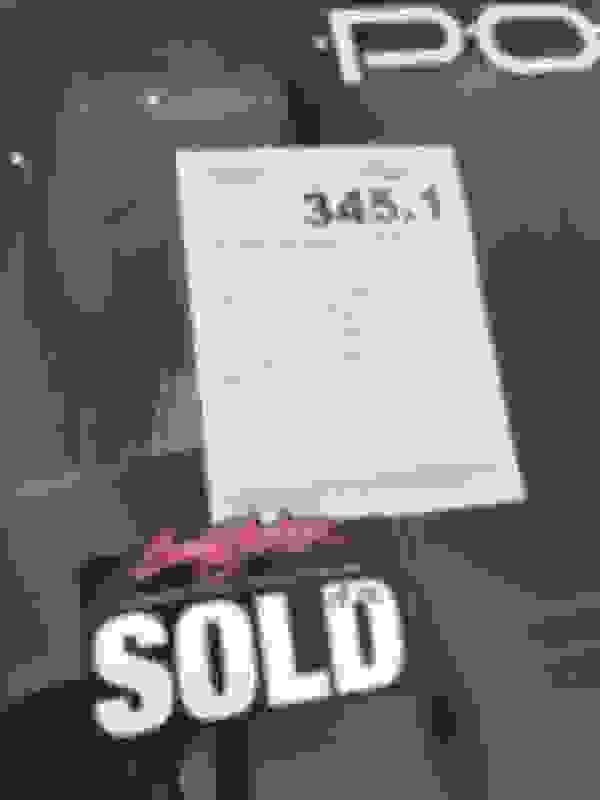 IMO, it's difficult to put a sale price on the car without having first seen all the service documentation, and some record of when and how often it's been driven. IOW, if the car has sat for many years, it'll require a significant amount of work (and $$$) to bring all it's systems (especially fuel and brakes plus new tires at a minimum) back up to road-worthiness. That said, if everything's kosher, I'll say somewhere between $12,000 and 16,000. 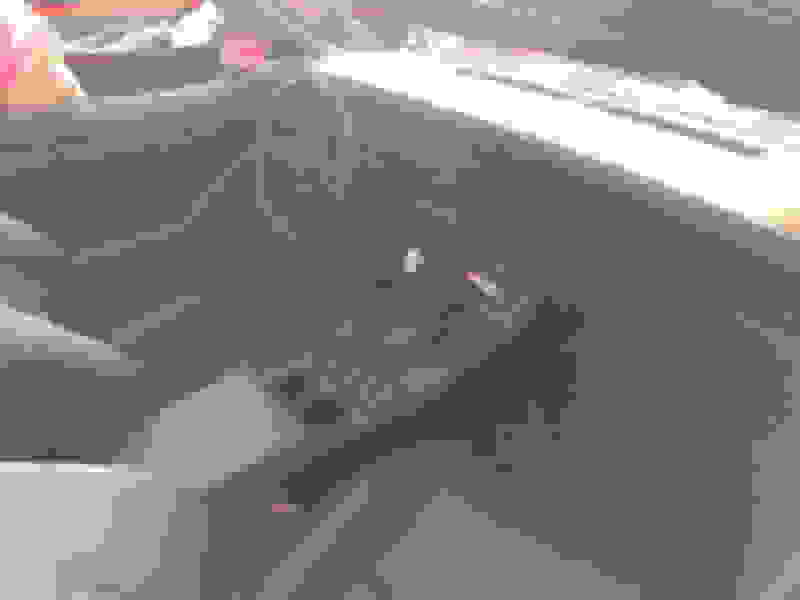 Last edited by ironwill; 03-26-2019 at 01:54 PM. If this was stored properly and runs and drives it could go in the 20s.. $18k-24k. 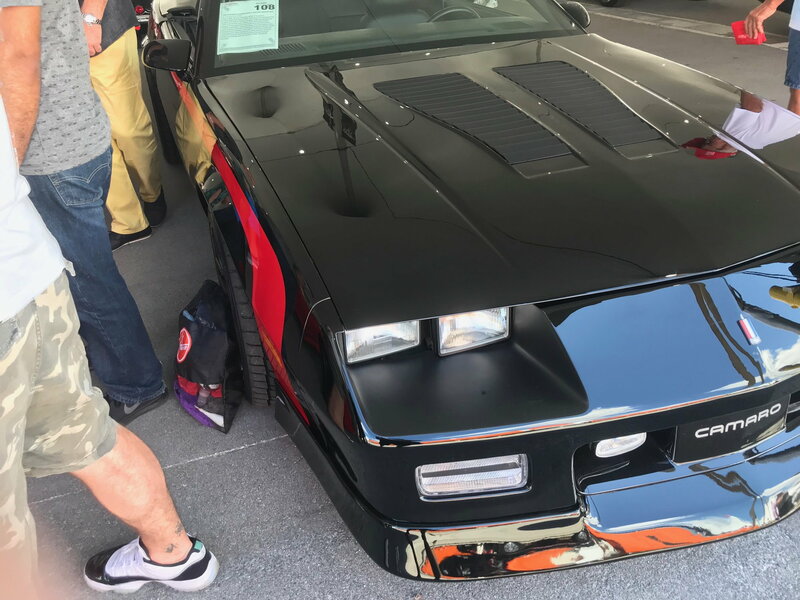 85s are nice because the 305 TPI put up similar numbers to the 87 350 cars before the power drop in 86..
Yep I think the Iroc will bring 20-25K because of the recent Iroc craze. It appears to be a real stunner! Great car. Agreed. That car has a lot of visual appeal. Yup, It’s a blue ( one year only lighter shade, different shade than the 86-90 blue) 85, which means L69 cammed LB9 and 3.42 gears. The car will sell, it is a no reserve car but if nobody accepts the opening bid than I guess the seller just takes it back? "I'm actually kind of surprised BJ would accept a car for auction in such condition." Me too. That is why I posted this car.I thought why would you even bother running this across the block. Most of the cars look more like the blue IROC but I guess even BJ wants a few "bargins" in their docket. 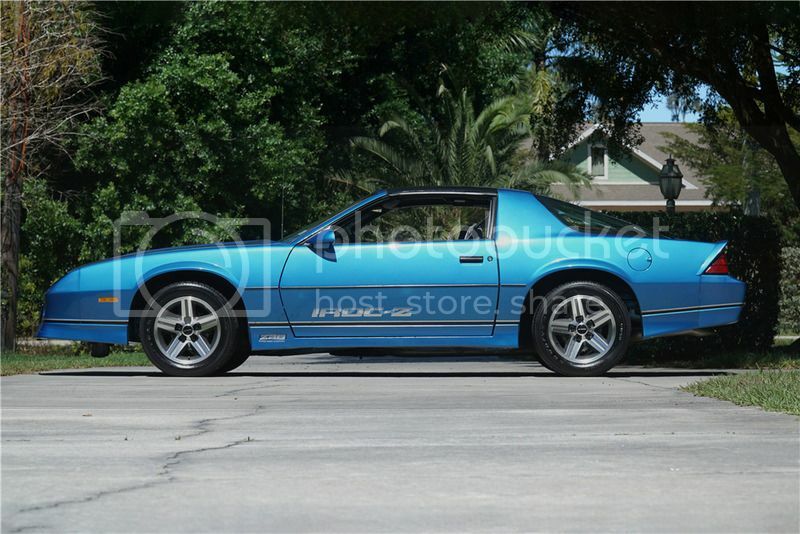 The Blue IROC is a really nice car and hopefully goes to s good home and not a flipper. Dont you guys recognize this one ??? It sold in January 2019 Mecum Kissimmee for $15,950 - Can you say "FLIPPER" ?? 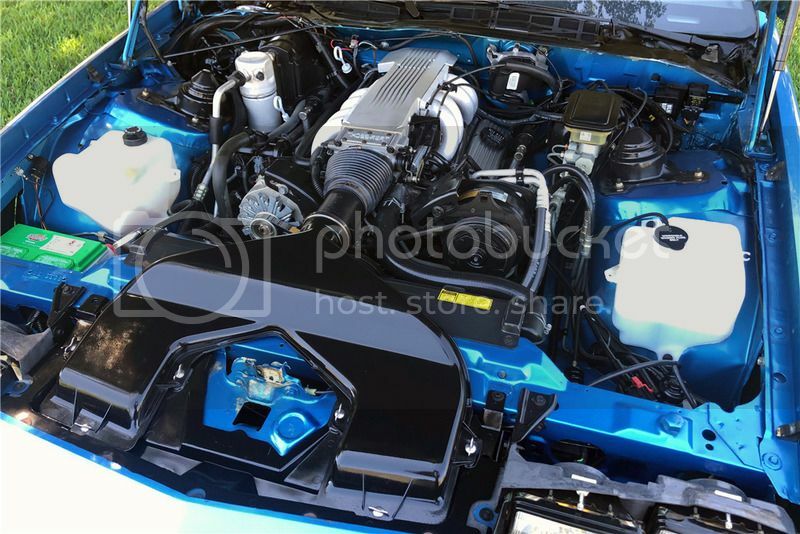 Ma in laws boyfriend had a 90 Z28 same gorgeous blue color but with an L03/auto. Wish I had bought it for 6k with 50k mi back in 95. $6k in 1995 would be about $15k today, inflation adjusted. Prices haven't really gone up, in terms of value. Last edited by ray jr; 03-29-2019 at 10:02 PM. I should be out there tomorrow when the blue IROC goes across. I will take a close look at this car. Hopefully I can see it in the staging lane before it goes in. May have had issues that weren't apparent due to the lack of photos (undercarriage rust etc). Crossfire wouldn't scare me away, assuming the rest of it was in great condition. But, I don't care about retaining original engines either. And I was starting to feel bad because I put such a low number on it compared to others. And I ended up $1100 high! Just not the right venue to pedal a well used car like that. People are there with money to buy something really nice. Cars with issues struggle to get any attention at all. 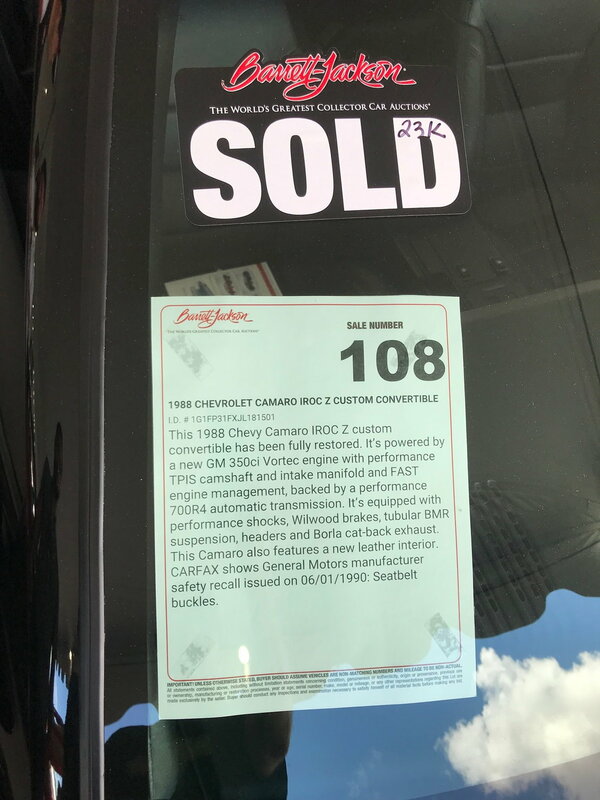 A quick buff and it will be on a used car lot somewhere to $9995.00. I will see if I can locate this car today, give it a good look over. They don't park them in any particular order. I think after the car goes across the block it goes back to the tent where it was originally parked. I think you can't pick up your car until after the entire auction. I think $4400 was probably a good deal. Put a fpr and a nice 350 in there and you would be in business. You are right on! I found this car in the back lot and take out the crossfire and this was a really nice car! I looked underneath and looked normal 30+ years. The interior was in really nice shape, seats carpet, dash, even the repaint looked good. I think the buyer did really well with this car and hopefully another early Z going to a good home. So this guy buys the car in Kissimee FL in Jan. Transports it about 150 mi. south to WPB and sells it 3 months later for 10K more. Take out about 4K in fees and transport and not a bad profit. My question,... is it the auction, the location or just the right car that made this happen? it sure s not the time! I was pretty close at $18-24k.. I figured $22k.. $24,500 is solid! I guess we'll never know for sure Vinny. I'd say the flipper has a good eye...a great looking car that was going for just "good" money at the previous auction. So kudos to him for knowing the market, and knowing a good car and a good deal when he/she sees one. I'll let one of you from below the Mason-Dixon line comment on the timing, but I think no matter where you are, it's spring. Auctions are happening. Shows are happening. Enthusiasm is up. Perhaps his timing was good. Could be the auction house too...some draw more bidders, are more high profile, advertise better. Yesterday was a good day for third gens @ the auction. I saw 4 go across the block. the blue Z, a pace car TTA, a 88" twin turbo IROC and a 89 convertible. I believe the last sentence holds the most truth Dave! That TTA would be perfect for me. Still low mile enough to be in nice shape and not a resto money pit, but enough miles that I would not feel bad about adding a few more. There will always be opportunists who will take advantage of buyers who may lack specific knowledge about a car on which they're bidding. And at the high-stakes auctions like B-J, it's likely that at least some of the bidding is ego-driven between two or more bidders. Makes B-J lots of $$$, and the seller usually gets over as well. As always, "Caveat Emptor"---along with leaving one's emotions out of the buying/bidding equation There are any number of horror stories to be found on the interwebz from auction buyers who later found out they got skinned. what do you think his fees were at the auction to sell it ? do he have to pay to buy the car for 16,000 in kissimmee ? It could be even more depending on what kind of deal he struck with selling it as well. I sold one a few years back at Mecum and they knocked my sellers fees down to $900 to make the deal fly. It looks like the resto mod market is alive and well for third gens also. I was able to speak with the builder of these cars who was selling them for the owners. for this 1988 vert he said he had about 45K in it. The paint job was stunning and the build quality top notch. Nice collection of parts and take out that hockey stripe (my opinion) and you have a great driver that rides and drives fantastic. Here is the red 89 IROC twin turbo beast. This thing is over the top! Kindig, Foose quality! 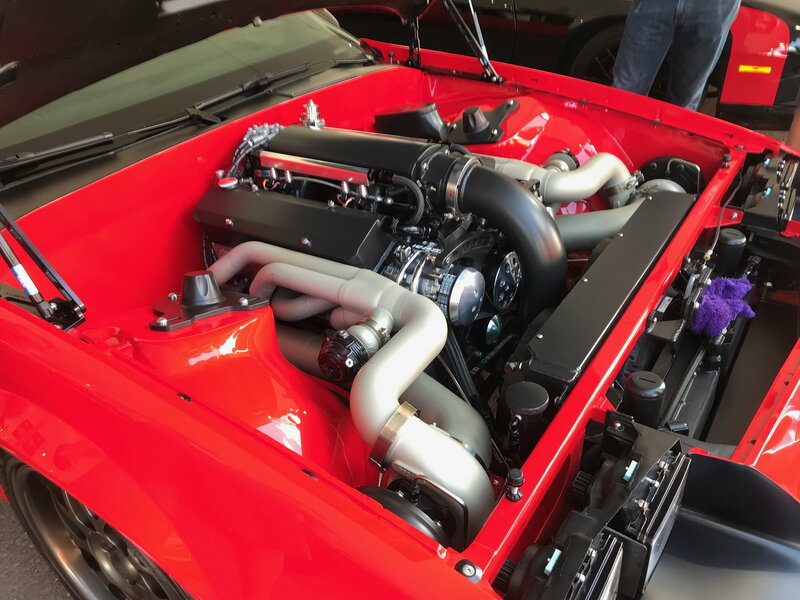 Engine, engine bay, underneath, interior and that red paint! Nothing on this car was not touched it is a complete resto build. The builder told me he had about 90K in this one and I talked to him before it went across and he knew he would not get it back.The car hammered at 51K. IMHO this was a great buy. I think the parts alone would cost this much! This car is the is the best built 3rd gen I have seen in person to this date. Truly awesome build! Magnificent! I've noticed that well done resto-mods have been getting some crazy money this time around at BJ. But like you said, $90K invested, (and it shows), and sold for 51K.